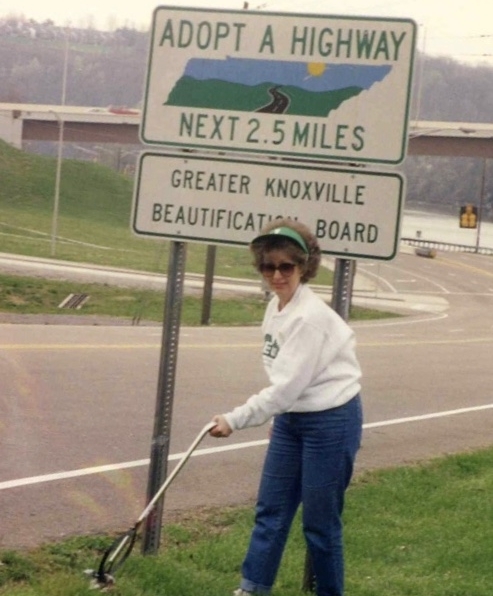 Keep Knoxville Beautiful was founded in 1978 as the Greater Knoxville Beautification Board (GKBB) to help clean up Knoxville before the 1982 World's Fair. In 1979 the budget was $16,590. UT football coach Johnny Majors urged citizens to join Johnny's Clean Team in 1980. In 1981, GKBB launched a PSA campaign urging Knoxvillians to clean-up, fix-up and landscape the city and introduced the Keep America Beautiful Waste in Place curriculum to all City and County elementary schools. In 1982, GKBB sponsored a Charette, Knox 2000: A Vision of the Future. Knoxville's Environmental Court was established in 1988 with Judge John R. Rosson at the bench. Sequoyah School collected 2,200 pounds of aluminum cans to win a Mountains of Trash to Mountains of Pride competition. The Living Tributes program kicked off in 1990 with a tree planting in Fountain City Park for Milton Roberts. 1991 began with the first "chipping of the green" Christmas Tree recycling event and ended with moving the Beautification Board to our Victorian House office at World's Fair Park. Shelba Murphy served as president of GKBB in 1992. In 1983 more than 1,500 people volunteered to adopt 147 spots for cleanup or landscaping. Waste in Place reached 24,000 students, 960 teachers and 60 principals in 1984. 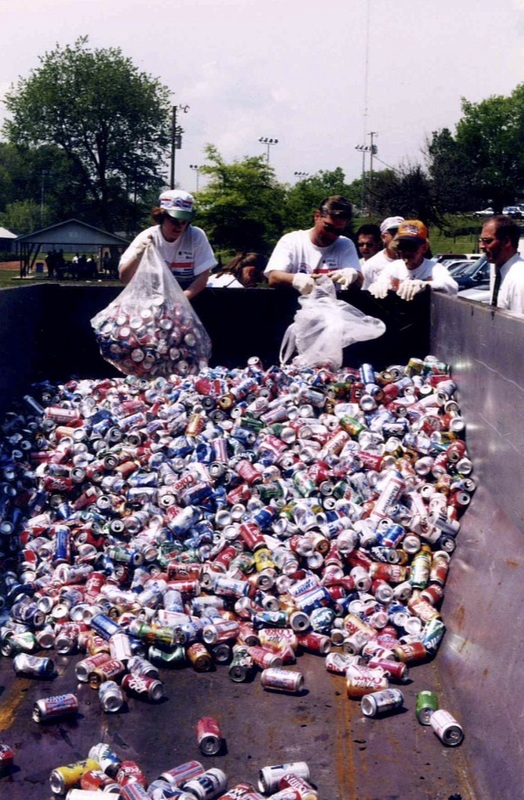 The first Trash Bash was held at World's Fair Park in 1985 and featured music, food and lots of trashy games, exhibits and more. 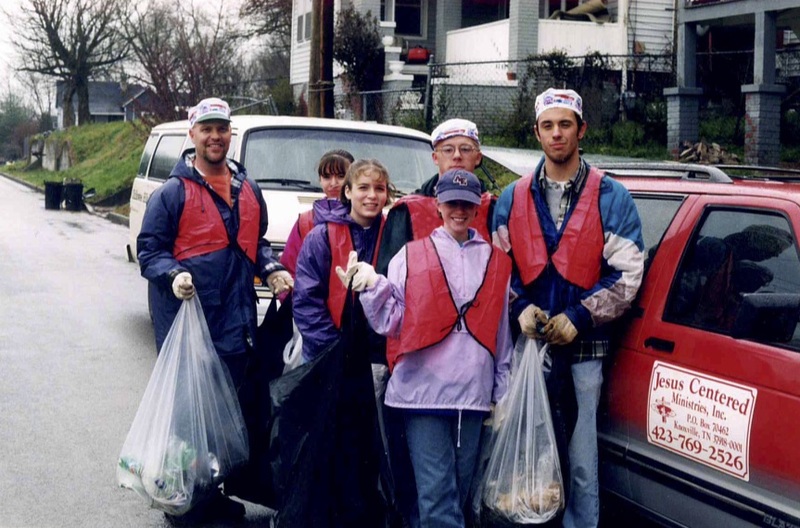 In 1986, Knoxville first participated in the national GLAD Bag-A-Thong community-wide cleanup program. The 9th Orchids & Onions was held in 1987. Winners included the Athea Building, Blair House Antiques and the Homberg Village Shopping Center. In 1993, GKBB's cable TV show Be Pretty Proud was first broadcast, and the News Sentinel Environmental Achievement Awards were presented for the first time. The litter hotline, I Spy on Litter, began in 1994. In 1995, GKBB began participating in the Read, Then Recycle newspaper recycling program with the News Sentinel. That same year, the City of Knoxville established its Environmental Court with Judge Tony Stansberry presiding. 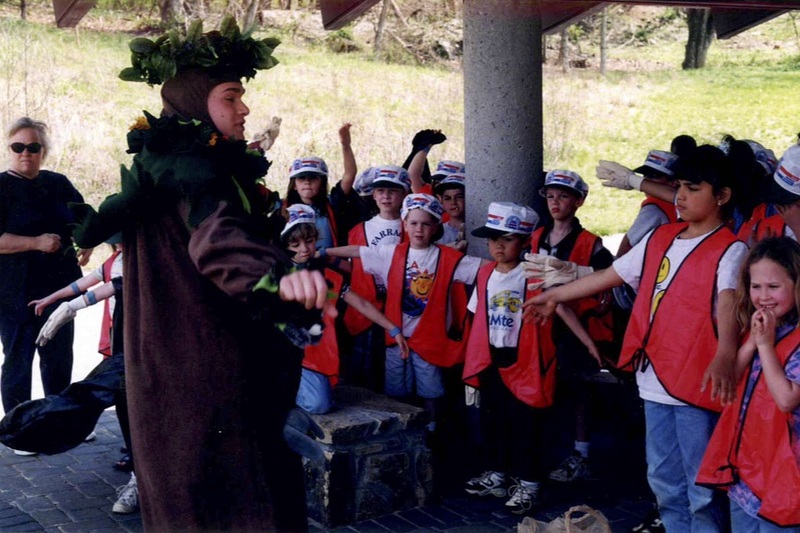 The Talking Tree Program began in 1996. 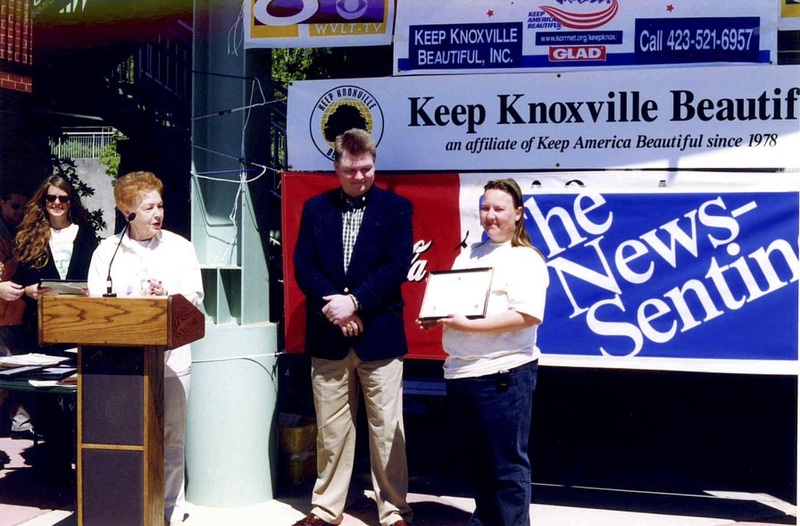 As part of a national trend among Keep America Beautiful affiliates, the Greater Knoxville Beautification Board changed its name to Keep Knoxville Beautiful in 1997. In 1998, KKB picked up its first national award and adopted a new mission - to promote a cleaner, greener and more beautiful community. The first interactive affiliate website in the Keep America Beautiful system was launched by KKB in 1999. The Knoxville Music History Mural in the Old City and the TRASHBUSTERS public service ad campaign were unveiled in 2000. In 2001, KKB finished its Historic Train Mural in the Old City and kicked off its Litter-Free Schools program. The Youth Advisory Board started in 2002. KKB turned 25 in August 2003. The ‘Don’t Throw Down on K-Town’ was premiered throughout Knoxville’s billboards and trash cans encouraging residents to properly dispose of their litter. KKB partnered with Anheuser-Bush to distribute over 1,400 recycling bins for free to promote recycling. TDOT and Keep Tennessee Beautiful helped support KKB in kicking off ‘Stop It, Stop Litter’ campaign. KKB worked with several Knox County schools for them to pledge to be a part of their Litter Free School. In 2009, the Cigarette Litter Prevention Program is implemented by creating ash tray areas and disposal sites in downtown Knoxville. The Goat Project was introduced to help reduce the amount of kudzu invading the native landscape in Fort Dickerson throughout 2010. To encourage people to be more health conscience, Green Miles is kicked off for people to track how much they walk while picking up litter to win prizes! KKB built an outdoor classroom for KBGA in 2011. KKB teamed with “Make Orange Green” to help increase recycling awareness at UT home football games. In 2014, Pickin’ Party was created to allow the community to come together to enjoy food, music, friends, and pickin’ while celebrating a zero waste environment. KKB participated in mass beautification projects off of I-275 by planting over 60,000 daffodil bulbs. In 2017, KKB worked with Scripps to complete “Big Rock Candy Mountain” mural on the corner of Bearden Place and Irwin Place. KKB turns 40!